My best friend Wendy came to visit me from Utah a couple of weeks ago before moving to Omaha for law school. 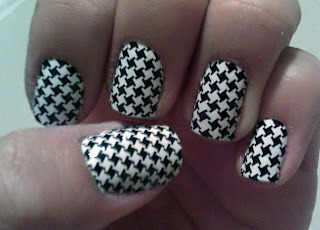 Like the sweetheart she is, she brought me gift—houndstooth nail strips! I’ve tried Sally Hansen’s strips several times before, but I had never heard of Nail Fraud before. Needless to say, I was curious to try them out. 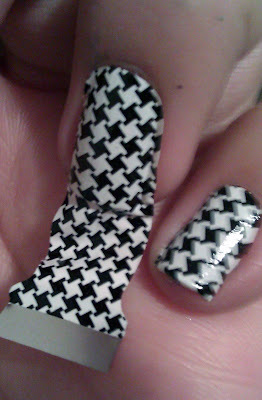 I finally sat down to apply the strips last week and I have to say, I was quite impressed! On their Twitter page, they self-identify themselves as “competing against Sally Hansen (OY! )” and they are absolutely right. 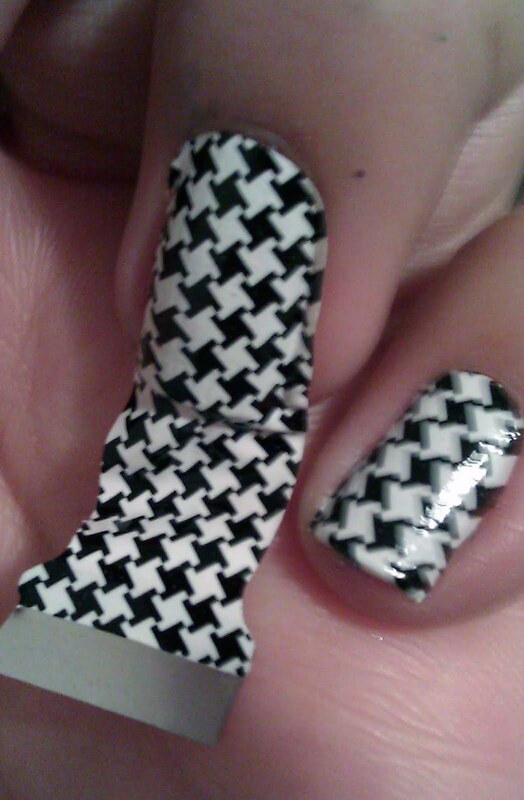 Before I tried Nail Fraud, I thought that no other strips had lived up to the quality and ease of Sally Hansen. The application process is just like Sally Hansen, but one might argue that Nail Fraud is even easier since their strips are in two strip cards, making the size selection a quicker process. I tried to leave the strips on for at least a week, but I only lasted three days before peeling them off so I can’t exactly speak to their longevity. But I’m sure if you add a top coat, it will last just as long as any other polish or strips do for you. Nail Fraud strips come in patterns, crackles, and solids. Another cool Nail Fraud perk is that they have Pedi-Frauds; strips specifically designed for your toes! These have been so popular that they were sold out, but they were supposed to be restocked on nailfraud.com today. 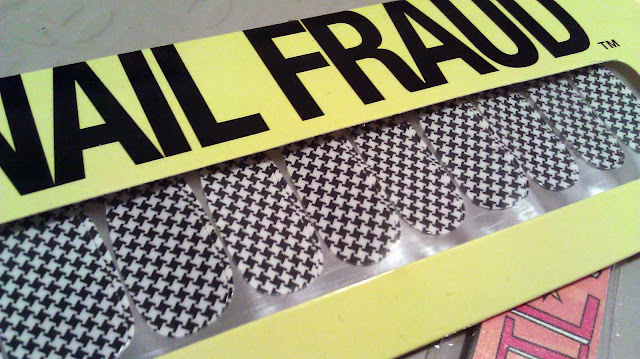 Nail Fraud strips will run you anywhere from $4 - $12 depending on where you buy them. 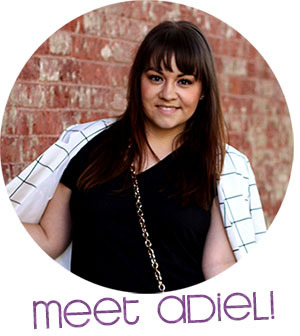 I’ve seen them on Tilly’s, Hot Topic, ModCloth, Amazon, beauty.com, and of course nailfraud.com. So, what do you think? Will you be trying out Nail Fraud strips? so cool! this chick in my fashion class had a floral print on her nails that was so perfect + when i inquired, she told me they were stickers. i never thought of them as a viable option for my nails, but maybe i'll try them. 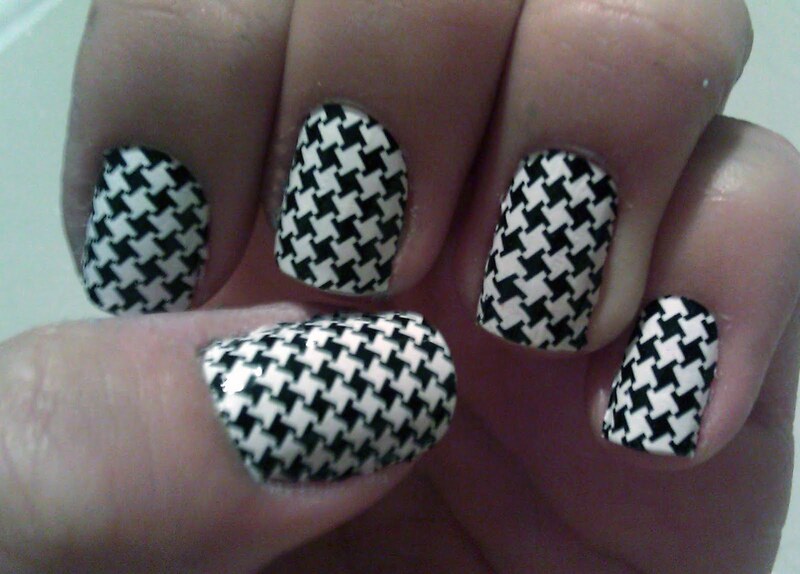 plus, i love houndstooth! haha. 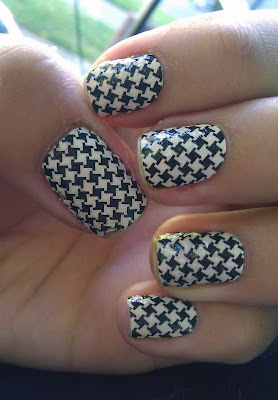 I'm a big fan of nail strips/appliques! They've come a long way this year!